Lucy was one of Natsu's biggest fangirls. When she has gotten the chance to meet him personally, she kept on bugging him. She was the chosen one to live with Natsu for a year. Natsu notices her obssesion over him. She was begging him to love her back. Natsu decided to play a game of love. If he fell in love with Lucy, he will marry her. If he didn't, Lucy will never let her face be seen in Natsu's sight and will leave him alone forever. Who will win this game? 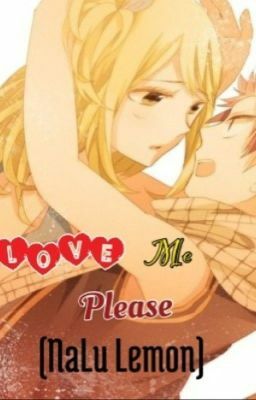 Will Natsu love her back or Lucy will never see jis face again? What will happen? Disclaimer: Fairy Tail and its characters is only owned by the one and only Hiro Mashima-sensei!